Camper’s just looking to have a little fun! 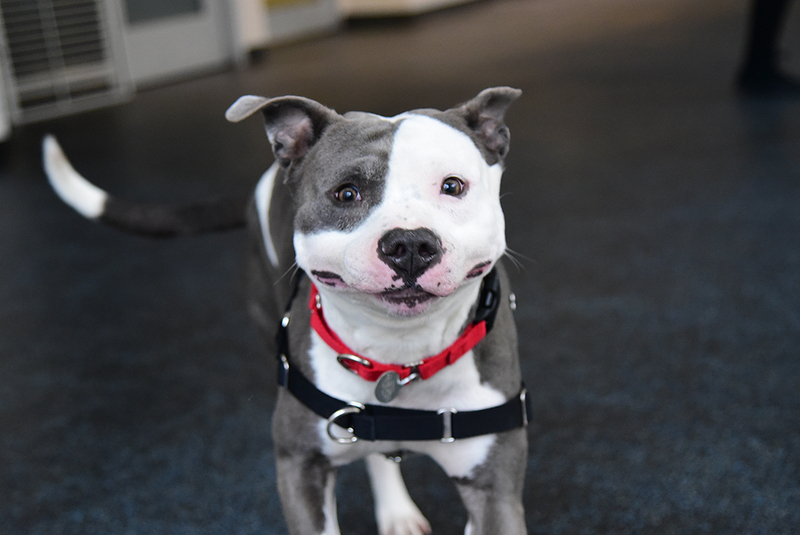 This happy-go-lucky, spunky guy has a smile that’s just plain contagious. If you’re looking for a pup to share a laugh with, and definitely a good game, too, Camper might be your man! Big fan of: People! Camper has never met a human he doesn’t like. 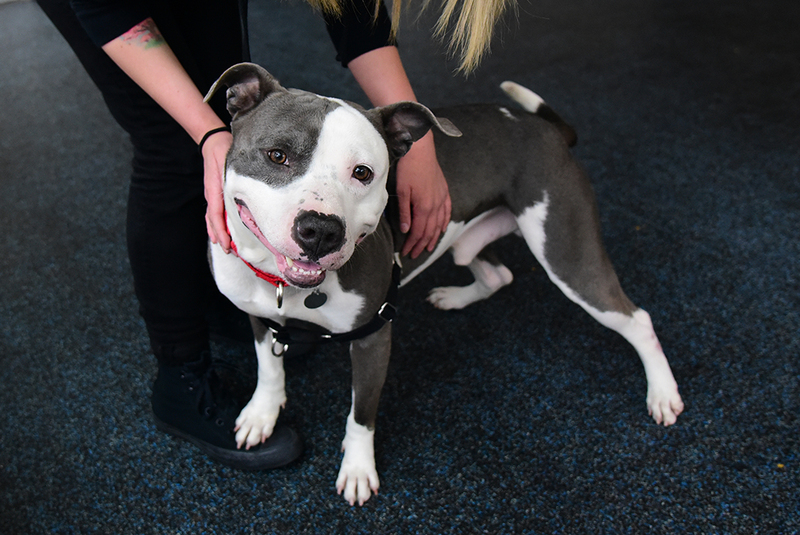 A big fan of attention, Camper likes to pretend he’s a lap dog and will plop himself right on top of your legs to ask for pets and scratches. But as soon as he sees you with a harness and leash Camper’s true fun-loving personality comes right out! He’s well aware that those items mean playtime, and boy, does Camper love to play! Toss a toy across the room or put on your sneakers for a good, long walk and Camper will have the time of his life! Special features: Everything is exciting to Camper! Sometimes Camper gets so thrilled with the people and situations around him that he forgets to keep all four paws on the ground or pulls on his leash. But, he’s a smart boy and is working hard on remembering his manners! 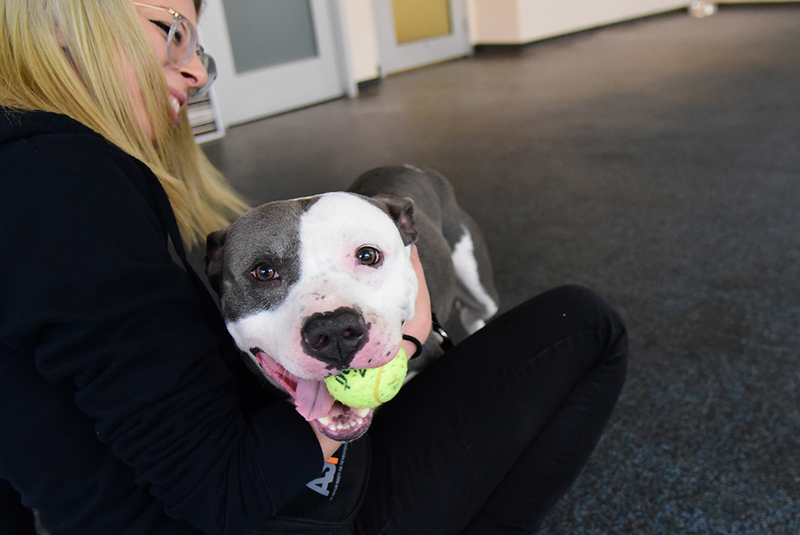 Camper is still refining his social skills when it comes to other dogs, so he should meet any potential canine friends slowly and in a one-on-one setting first. Dream home: Camper would like an adopter who can give him more training and lots of exercise. He would do best with children ages 10 and up.